""You think you got away with something, don't you? But your time has run out. We know where you are. And we are coming." The man smiles, but it's not a pleasant smile. Christopher Buehlman is the winner of the 2007 Bridport Prize for Poetry and the author of three novels and several plays. He spends half the year in Florida and the rest on the road. How does ancient magic play a role in the book in relation to modern technology? 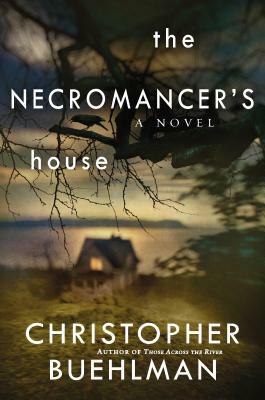 Many of the characters in The Necromancer’s House are struggling with addiction or in recovery. What is the significance of rehabilitation throughout the story? Of all the characters who need redemption, whose resolution is the most satisfying and why? What is the significance of Misha’s posthumous act of mercy to Nadia? Do you see any similarities between Misha and the AA ‘elder statesman’ Bob? What do you think is the meaning behind Andrew’s statement, “belief is more than half of all magic,” and how does it relate to the larger story? Ichabod’s persistence and power require the most clear and direct language from Andrew. In what ways does that foreshadow the role he ultimately plays in Andrew’s fate? What are the parallels in Anneke and Andrew’s handling of the deaths of their loved ones? How do they differ? In regards to magic, Andrew explains at great length the differences between being an “intuitive” and being a “plodder,” each having their own merits and limitations. How does this theory extend to modern society’s understanding of talent in general? When Anneke returns from Ohio after her relapse, Andrew warns she has not yet hit her bottom. What moment in the story do you interpret as Anneke’s “rock bottom”? Andrew masks his true age at the cost of using much of his power. What do we learn from his experience in allowing himself to grow old and be seen as he really is? In section 11, what significance is there to Andrew’s statement, “everything I enjoy is connected to death”? What do Sergei and Georgi’s brief appearances in the story illuminate for the reader about the apparent disconnect between generations? The Necromancer’s House is filled with tools to communicate with the non-living. What do Nadia’s last words in the book tell us about the significance of home?